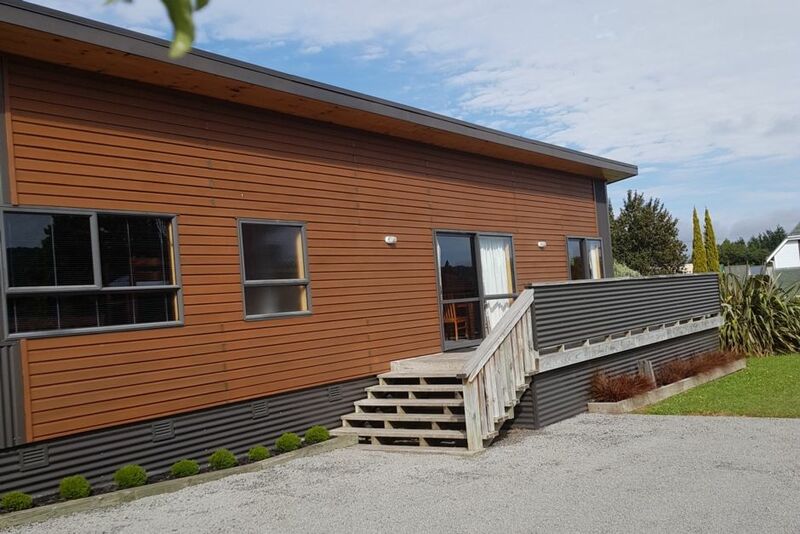 Our home is close to the great outdoors but also within walking distance to Ohakune's great restaurants and cafes, supermarket, library, hire shops etc. A children's playground is one block away. Located in a quiet residential street. Mountain views from the main bedroom and living area. Huge dining table for sharing meals and having good family times. Fully equipped kitchen, laundry, drying room. Plenty of off street parking. There is no TV. We hope you will rest and recharge, or wear yourself out on the mountains and tracks - the choice is yours! No smoking allowed. Bond required $200 per booking refunded within a week or less. Minimum stay of 3 nights for Mardi Gras Weekend with $500 bond required. We live in rural New Zealand on a lifestyle property with wetlands and a pond, surrounded with native trees and birds, but close enough to the city to conduct our business (though we work from home as much as possible). We love to travel overseas as well as holiday within New Zealand. Large secure storage shed for your tramping/skiing gear and bikes, filled with wood for cosy evenings by the fire. 10/10 would go back and would recommend! 10/10 would go back and would recommend! Warm, cosy, Good location and the perfect amount of space we needed for our weekend ski trip. Lovely property, clean, tidy and had everything we needed. Great property and excellent location, 5min walk to shops and cafes. Highly recommend staying if visiting ohakune. Lovely bach, view of the mountain, great kids books, warm fire with plenty of good wood available. Our second stay. Would recommend.